On the invitation of Gerd Gruppe, Member of the DLR Executive Board, responsible for the Space Administration (1st row, 5th from the right), representatives from the Canadian and German aerospace industries, as well as from the Canadian Space Agency (CSA) and DLR, came together in Bremen on 23 to 25 October 2017. The focus of the bilateral discussions was on forming and strengthening business relationships. The representatives also visited Space Tech Expo Europe. 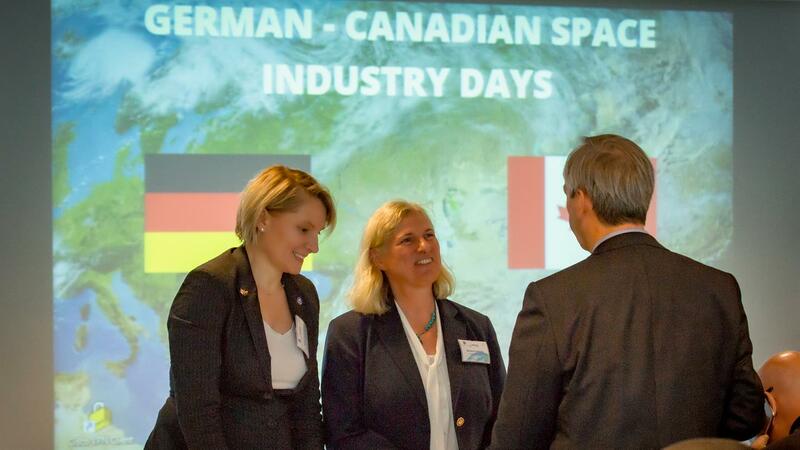 The personal exchange of ideas was at the focus of the German–Canadian Space industry convention in Bremen. A delegation with representatives from Canadian aerospace companies, led by the Canadian Space Agency (CSA) and its Vice President Luc Brûlé, is visiting Bremen from 23 to 25 October 2017. Gerd Gruppe, the Member of the German Aerospace Center (Deutsches Zentrum für Luft- und Raumfahrt; DLR) Executive Board responsible for the Space Administration, initiated the trip. It offers Canadian and German companies a platform to exchange ideas. The main objective is to both create and strengthen business relationships, as explained by Gruppe: "The Canadian and German aerospace industries are already collaborating successfully in several sectors, such as radar remote sensing and robotics. We want to intensify and strengthen this collaboration. This delegation visit offers many opportunities in this respect." 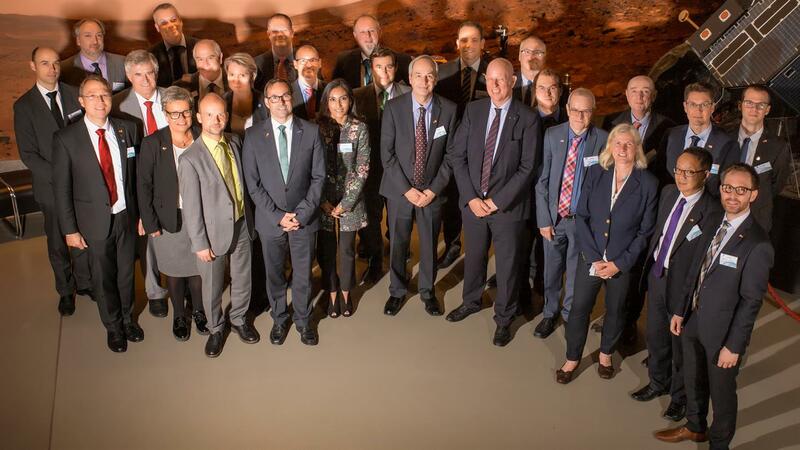 The Canadian delegation – comprising three representatives from the Canadian Space Agency, five industry representatives and three embassy representatives – together with 15 German company delegates and 10 DLR employees had a very diverse programme. Firstly, the focus was a visit to the DLR Institute of Space Systems, where the Director of the Institute, Andreas Rittweger, provided an overview of the various fields of research and projects. The companies then presented their skills and ideas for collaboration before moving on to the intensive exchange of ideas in the form of one-on-one discussions (B2B meetings). On 24 October 2017, the German-Canadian group also visited 'Space Tech Expo Europe', which was taking place at the same time. This provided the opportunity for numerous discussions at the exhibition stands, as well as participation in the trade fair’s technical meetings. DLR is also represented with a stand at the Space Tech Expo in Bremen. The programme was rounded off on 25 October 2017 with visits to Airbus Defence and Space GmbH, OHB System AG, the DFKI Robotics Innovation Center and the Center of Applied Space Technology and Microgravity (ZARM) at the University of Bremen. The CSA and DLR also want to support the German and Canadian aerospace industry collaboration in the future.